From veteran maestros to fresh talent, the Margazhi festival promises Carnatic music at its best. Five young musicians talk about the spirit of the festival, as they prepare for their concerts. perform,ai??? says Anahita Ravindran, a 22-year-old vocalist from the city, who sings along with her younger sister Apoorva. 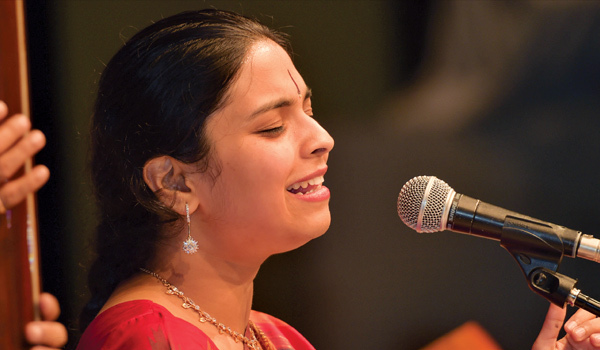 Trained under acclaimed musician Chitravina N Ravikiran, the sisters have around 15 concerts lined up this season. ai?? ?Margazhi is an annual affair, so we get to experiment a lot more musically, with uncommon ragas like Vardhini and Malavi,ai??? she adds. Aishwarya Vidhya Raghunath is another such vocalist from Bengaluru who sees the season as a platform to build her repertoire. ai?? ?It inspires an artiste to gear up for the next season, right after the current one. Over the course of the last year, Iai??i? ?ve stacked up some exciting new compositions in the not-so-oft heard padam and javali,ai??? says the 27-year-old. Sunil Gargyan, however, looks to keep things fresh. ai?? ?I intend to sing ragas like Devamanohari and Devagandhari,ai??? he says. Having grown up listening to Carnatic music, Ashwath Narayananai??i? ?s Margazhi debut was at the age of 13. ai?? ?While I learn from senior artistes, my peers act as a reality check,ai??? says the 25-year-old, who tags his family as an inspiration. For city-based 19-year-old Adithyanarayanan Shankar, stage experience is his biggest take-away. ai?? ?Coming from a musically-inclined family, I got interested at the age of nine,ai??? says the vocalist, adding, ai?? ?I get inspired by the likes of T M Krishna and Sanjay Subrahmanyan.ai?? ?